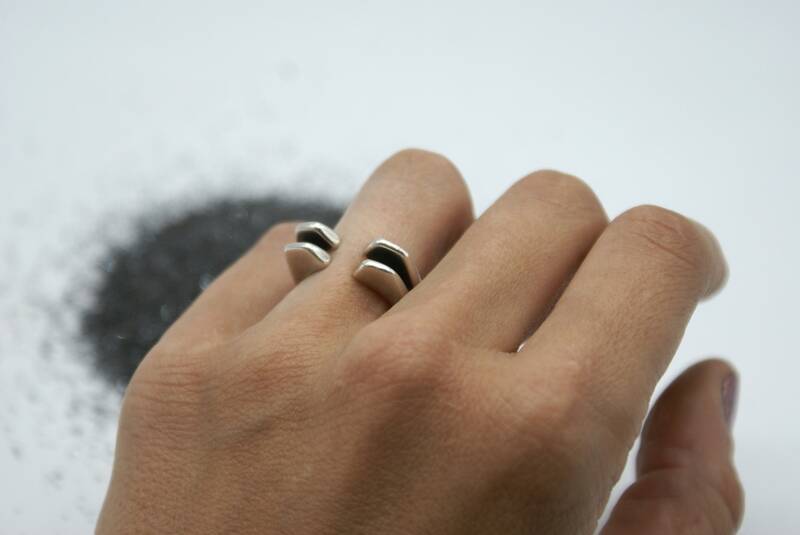 This ring is one of a five-part series that was inspired by a futuristic, space-age aesthetic. I loved stacking two of the Lost Wax No. 2 ring so much that I decided to make it permanent and solder them together! 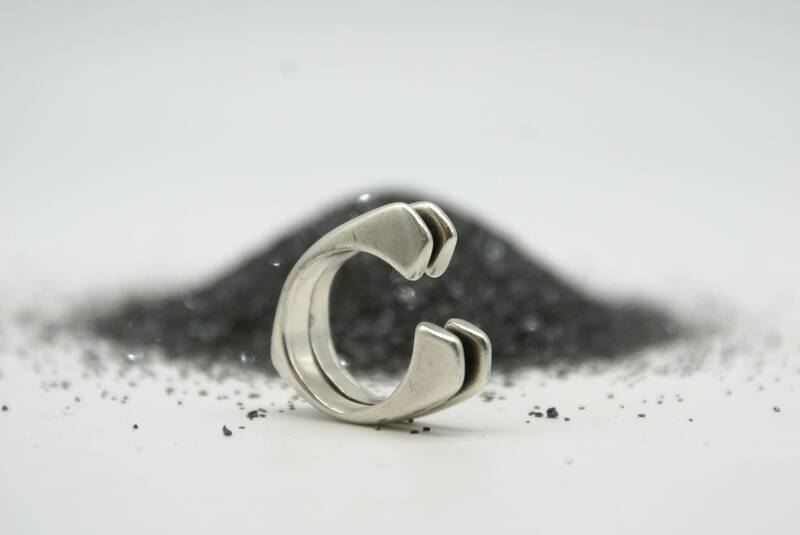 They were originally carefully hand carved from a solid block of hard wax and cast in silver or bronze. The open design at the top makes the ring sturdy yet adjustable, and can fit sizes 6-8 comfortably.